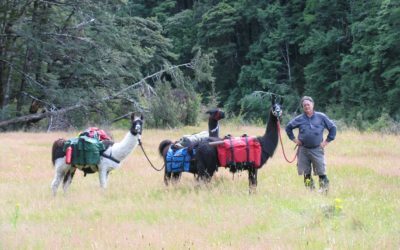 The most important thing the NZLA offers is a place you can meet people with a shared interest – llamas! 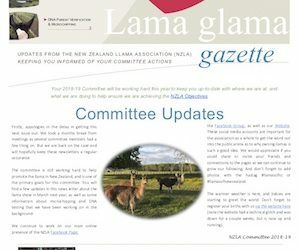 A place where you can share information, get help or advice, and where we support each other to promote the well-being llamas. 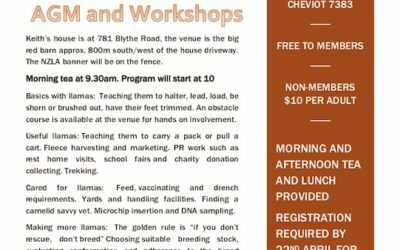 To educate owners and interested members of the public in the needs, care and welfare of llamas. 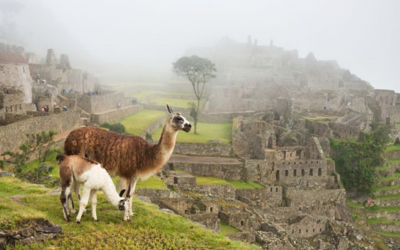 To promote llamas and their uses as working and companion animals, and pets. To facilitate and encourage fun activities with llamas. 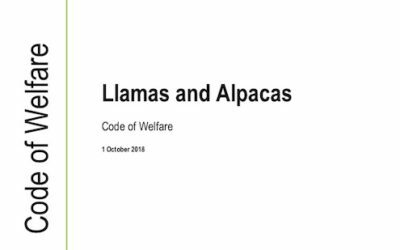 To liaise with government and other authorities on behalf of members on matters pertaining to llama ownership, care and use. 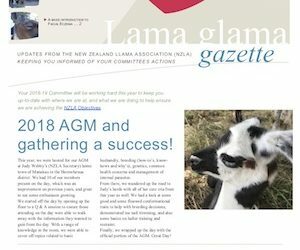 To provide a communication forum for the sharing of news, ideas and knowledge relevant to llama ownership, care and use. To negotiate, set up and operate agencies, or other arrangements with other Camelid organisations where applicable to achieve the objectives of the association. 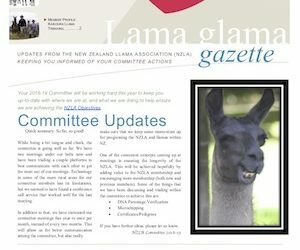 To provide a registry for the collection of information of all New Zealand llamas and for the registration of llamas. 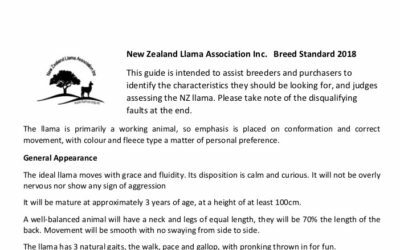 This guide is intended to assist breeders and purchasers to identify the characteristics they should be looking for, and judges assessing the NZ llama. Please take note of the disqualifying faults at the end. 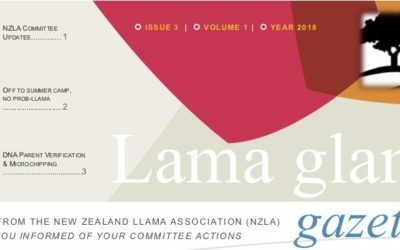 Contents: NZLA committee updates. Off to summer camp, no prob-llama. DNA parent verification & microchipping. Contents: 2018 AGM and Gathering a success! 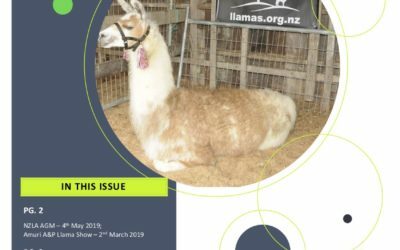 Promoting the NZ Llama, Quick synopsis about Facial Eczema in Llamas, The Big Question: Why own a llama?